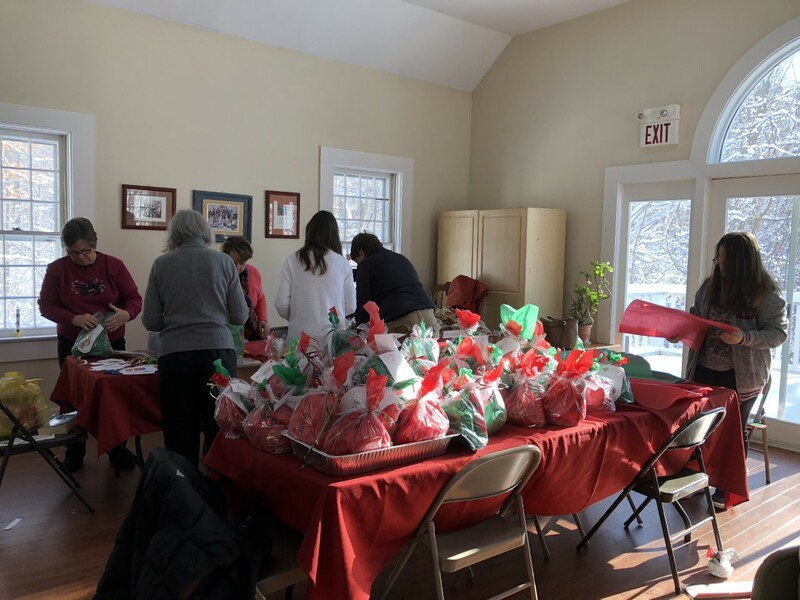 Our elves have been busy getting ready for our delivery to Helping Hands! 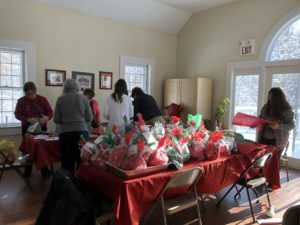 125 goody bags filled with hot cocoa, homemade cookies and knitted prayer shawls made by our loving Emmanuel Church families. Killingworth Helping Hands, the Connecticut Food Bank, the Amazing Grace Food Pantry, St. Vincent dePaul’s Place, Bishop’s Fund for Children, Heifer International, Lulac Head Start, New Horizons Women’s Shelter, Haddam/Killingworth Youth and Family Services, and the South Dakota Lakota reservations. 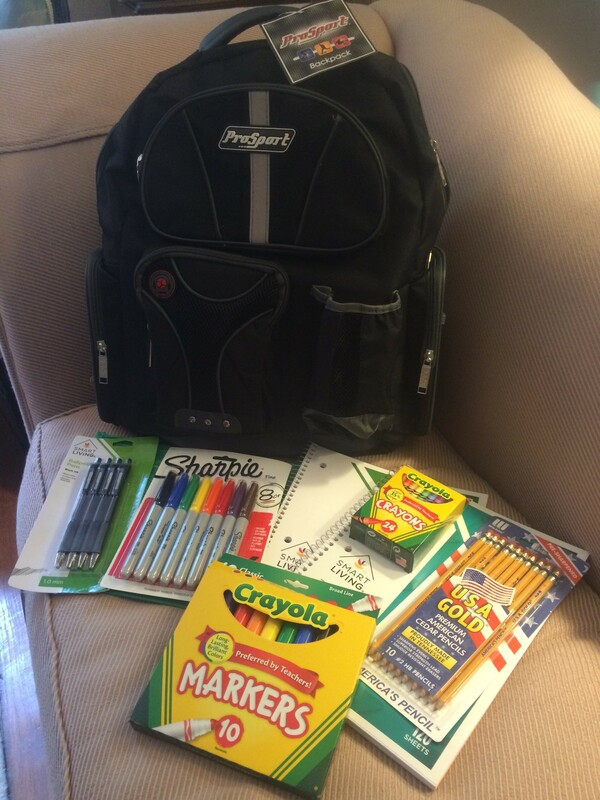 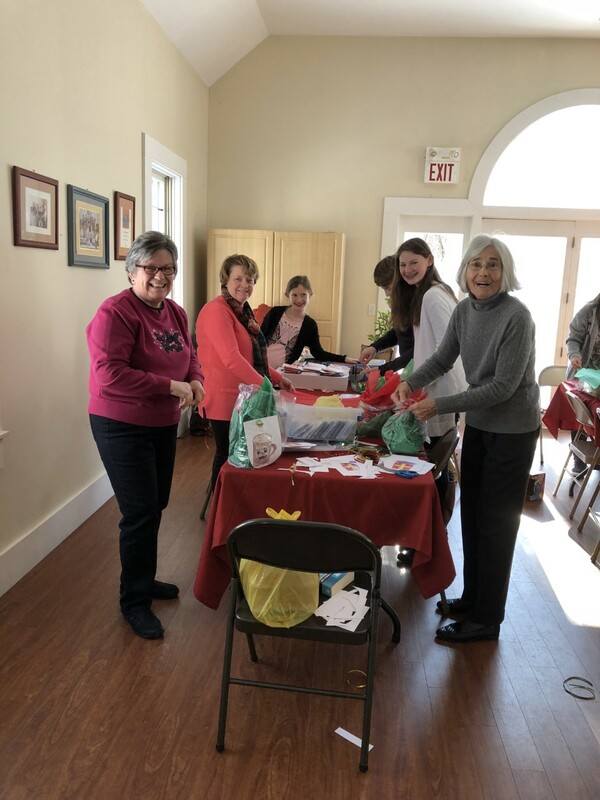 Emmanuel church participates in the Haddam Killingworth Youth and Family Services Backpack Program. The church donates backpacks filled with supplies and money to purchase backpacks/supplies for families in need in the community.